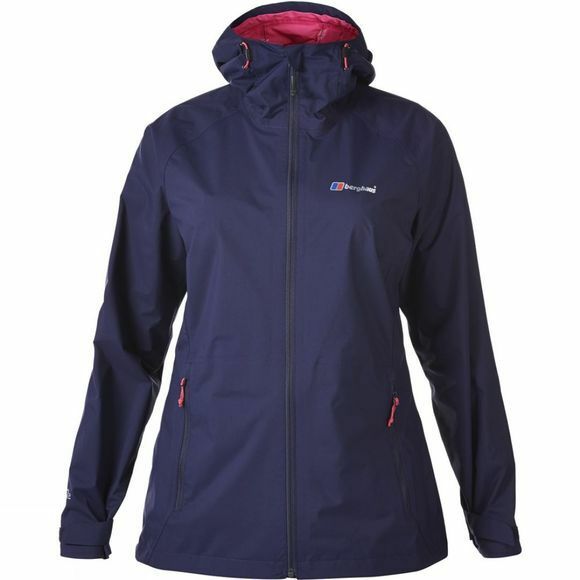 The Berghaus Women's Stormcloud Jacket utilises the AQ2 technology to provide you with a fully waterproof and breathable jacket which is perfect for everyday outdoors. It has a different coloured fabric backer on the inside of the jacket to give a shot of colour to invoke interest. The jacket also boasts a fixed hood which is adjustable, enabling you to cinch it in around your face for added protection when you need it. 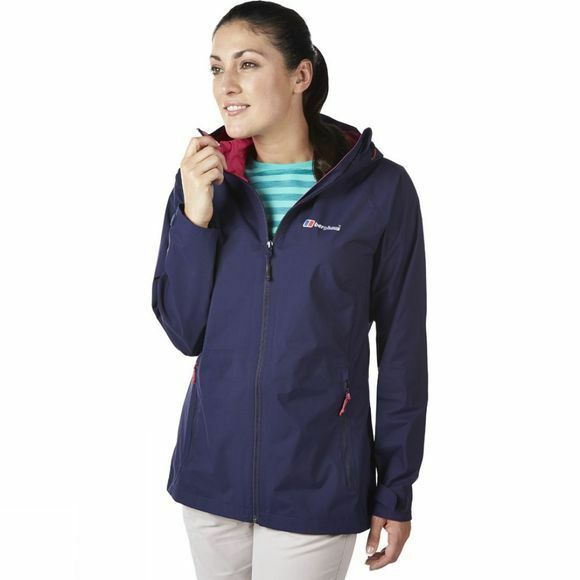 In addition to this it has adjustable hook and loop cuffs which stop any rain or wind travelling up your sleeve. Overall a great example of clean contemporary styling in a versatile jacket suitable for all sorts of activities.